Changing your Facebook email address turns out to be not quite what most people expect. I'll walk you through the steps. Click on the link provided and you're almost done. At this point, you can login using the new email address and your existing password. However, the old email address hasn't yet been removed, and will still get notifications. That might be enough for you. Step 2: Select your new email address as the "Contact Email", and click on Change Contact Email. This will cause all subsequent notification to go to your new email address. Step 3: After you've changed the Contact Email, a "Remove" link will appear next to the old email address. Click that if you want that email address completely disassociated from your Facebook account. Of course you can add yet another email address at this point also. How do I delete my Facebook Account? Deleting your Facebook Account requires some preparation, and then a fairly well hidden link. I'll outline the preparation and point you to the link. I saw this on facebook and thought you were talking about the new facebook email. 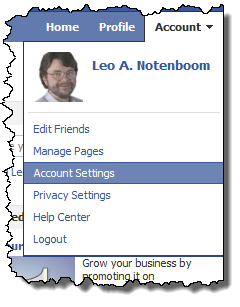 Facebook seems to change a lot, but I am still finding the function in my account. It's under Account settings, and the link is called "Add another email." I was required to enter my password, and verify the new email. I also went ahead and changed to an even stronger password, while I was at it. 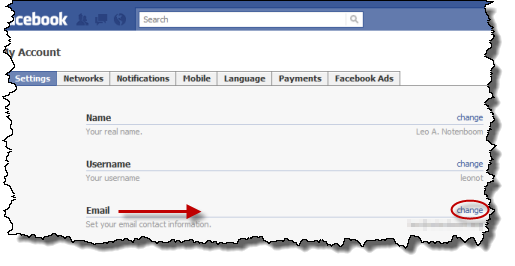 What if your primary email in facebook is no longer valid due to inactivity (Yahoo has a policy which de-activates your email account if it's not used for more than 6 months) How can you change your facebook email address if you can no longer verify it thru the de-activated Yahoo account?